You will find them sprouting all over the place, hedgerows, wasteland, woodland and gardens and generally they are thought of as unsightly, invasive and, if a plant can be described as such, a little unsociable. Stinging nettles (Urtica dioica) are extremely successful at colonising wasteland and hedgerows alike and they are instantly recognisable to most people more often than not because of an unpleasant encounter with the poison-packed plant at some time or another in their youth. What would you say though if you knew that pound for pound nettles are one of the most nutritious plants around – jam packed full of vitamins A and C, with a high proportion of iron, calcium and other minerals and around 6% protein? What then if you knew that nettles can also be used to make a natural plant feed, have numerous medicinal uses and can even be used to make an incredibly strong string that can be used for everything from garden twine to a bow string? Hopefully you are beginning to see nettles in a slightly different light but if you need more convincing here are 8 ways they can genuinely make amends for any previous indiscretions. And, if you still don’t fancy tackling the stinging variety, there are several varieties of dead-nettle that look similar to their more aggressive cousins, can be used in the pot and don’t sting at all. 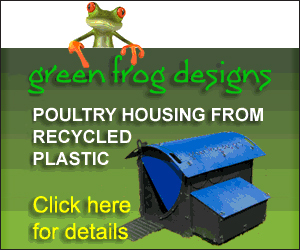 Collect only from areas where they are unlikely to have been contaminated by car fumes, pesticides or dog wee. Use young shoots whole as they reach usable size in late February to early March but as they get taller you should only harvest the top few leaves. The season finishes in early June when, although they will still be abundant, they become bitter and crystalline and may have a laxative effect if eaten. Pick with rubber gloves on to avoid the discomfort of the inevitable sting. The classic use for nettles in cooking is soup but you can use it as a substitute for spinach however you wish. You’ll be relieved to know that the sting completely disappears when cooked. You can find a tasty and nutritious nettle soup recipe here. Soak a few leaves in boiling water removing them as the water becomes tinted green for a light and refreshing tea that has also been used traditionally to help with aches and pains, asthma, digestive and urinary tract disorders and anaemia among other things. You can dry and store nettle leaves for use at a later date. Serve with a squeeze of lemon or honey. Nettles can also provide the basis for some very acceptable tipples. The internet is full of ideas, have a search around for one that takes your fancy. If there are nettles growing on it then you can be fairly sure that a patch of earth is nutrient rich and ready for cultivating. Use any nettle plants you clear as a nitrogen-rich homemade plant feed for what you plant in its place. 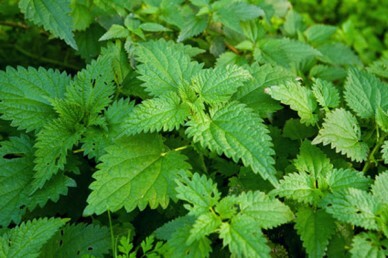 Simply mix crushed up nettles with water in a large container ensuring that they are fully submerged and leave for a month or so to stew. The resulting, rather smelly, solution can then be strained, diluted 10-1 with water and used as liquid plant food. Nettles are where ladybirds lay their eggs so if you have some in your garden you will benefit from their pest controlling larvae when they hatch to devour whitefly and red spider mite. They are also a great favourite with aphids so while they are feeding on your nettles they will be well away from your other, more valuable, plants. If nothing else just mix the leaves in with the other contents of your compost heap and let this rich source of nitrogen act as a natural activity booster. Who better than wilderness legend Ray Mears to show you how to use nettles to make a very strong and useful string from nettle fibres? This is ideal for use as an alternative to garden string. The fibres can actually be processed further and spun into a very durable thread that can be woven into fabric. Nettle fibre was even used for German uniforms in the First World War. 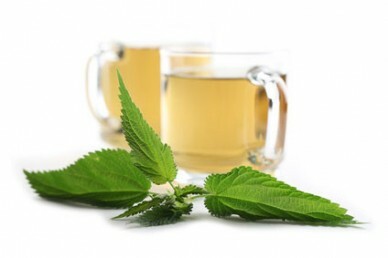 There are far too many medicinal uses for nettles to cover in detail here but as well as the ones mentioned above drinking nettle tea can be beneficial for sore throat, arthritis, high blood pressure and for cleansing the blood. An infusion made from 50g of fresh leaves in a pint of water can also be used to soothe burns and sores.